Alders can be quite confusing and difficult to tell apart! European Black Alder (Alnus glutinosa) is often mistaken for Speckled Alder (Alnus incana). Please note that Alder-leaved Buckthorn (Rhamnus alnifolia) is not an Alder. 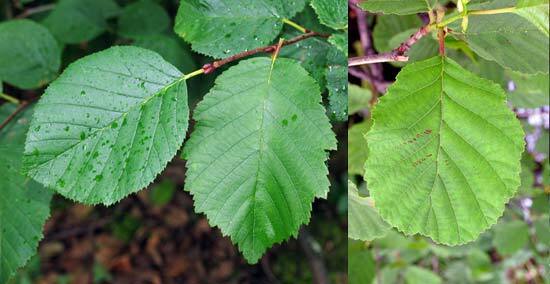 Green Alder (L), Speckled Alder (M) & European Black Alder (R) compared.